If you’ve thought about filing for legal separation or divorce, it’s best to learn the key differences between the two before arriving to a final decision. The best approach will depend on your circumstances, as each option offers different solutions to various situations. If you can’t decide which to pursue, consider the following. Couples who no longer wish to live together but want to remain married can pursue a legal separation. Since they will still be legally married, they retain all the benefits that come with it—health insurance and tax advantages—but they essentially gain the freedom to start a new life. Before filing for legal separation, you and your spouse must devise a separation agreement. This document should address everything that a divorce agreement would, including asset division and custody. You may then submit it to the county clerk’s office; however, the agreement goes into effect as soon as it is signed and notarized by both parties. It’s possible to convert this agreement to divorce one year later if you wish. Otherwise, you may remain separated indefinitely. Filing for divorce is a little more complicated than pursuing legal separation because divorce effectively ends a marriage in the eyes of the law. 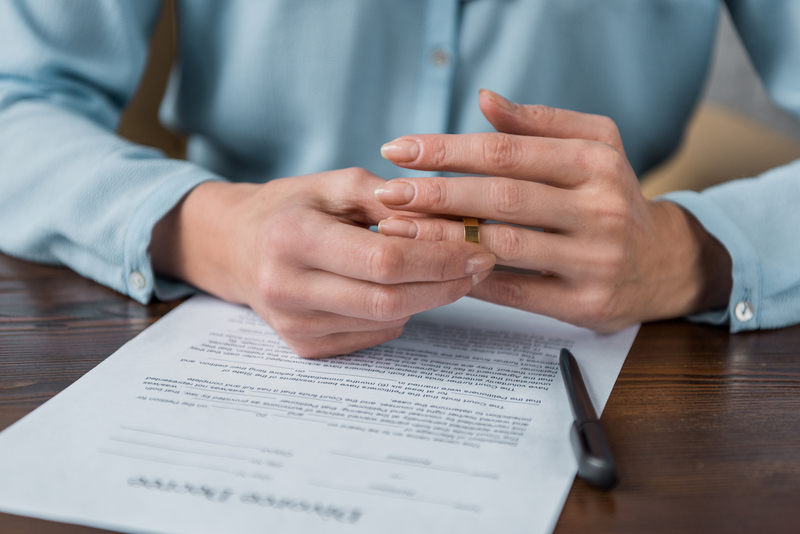 To finalize a divorce, you must complete several documents, including a Summons With Notice and a Verified Complaint and then file them with the court. You must also serve your spouse with a copy of these completed forms within 120 days of filing. Your spouse then has 40 days to respond. If you are both in agreement, it is faster, simpler and much less expensive than a “contested" divorce. In a contested divorce, financial disclosures and negotiations will commence and, if neither party is willing to compromise, a hearing will follow and usually both sides retain their own attorneys. The judge will use this hearing to determine how to structure the divorce agreement, which addresses all the same issues that a separation agreement would. If you need help filing for legal separation or completing divorce paperwork, turn to We The People of NY. Located in Manhattan, this firm offers notary services and legal document preparation. For nearly 30 years, this locally-owned and -operated business has been providing affordable services for people trying to finalize all kinds of proceedings. Whether you are filing for legal separation or changing your last name, you can turn to these knowledgeable professionals for help. To learn more about their services, visit their website. To make an appointment, call (212) 633-2200.